Merchant Ivory is a hymn in Indian cinema. The production company’s legacy encapsulates the greats, and yet, for a collective that’s left such an imprint, they are still relatively obscure. I was first introduced to them via the classics—A Room With A View, with its Italian balcons, its wide luscious fields of green surrounded by cherry red poppies, a great expanse where young hearts could roam. It was a film that I turned to for warmth. I liked the glamor, the regality of it. What might be read as stiffness or too British, I read as fragility and prestige. I never understood why I related so much to its whiteness, despite growing up in an immigrant, non-white home. I was so enraptured by the storytelling, the minutiae of a glance. The restrained romance was almost relatable. I chalked this up to the storytellers, and never thought to research the team behind this film that left me feeling bright with relief. Merchant Ivory was in fact three people: a woman, and two men. Ruth Prawer Jhabvala, the main screenwriter, was a German Jew; James Ivory, the director, was an American; and Ismail Merchant, the producer, was a Muslim Indian. Ivory and Merchant were in love, together until Merchant died in 2005. Ruth, though German, looks like Indira Gandhi. Beautiful, yet austere. Her eyes demanding in a stern way, sunken, with heavy dark outlines. I was moved by that similarity, by how we have more in common than sometimes we think. That so many of us bleed into each other’s DNA seamlessly, and the things we think make us archipelagoes of difference are what bind us to others. Ruth was born in Cologne, to Marcus and Eleanora. After seeing what happened during the raid on Kristallnacht, the family fled the Nazi regime, becoming refugees overnight. Ruth was twelve years old. Unable to acquire visas for the United States, they settled in London. This is where Ruth learnt to speak English, immersing herself in Charles Dickens and Margaret Mitchell’s Gone With The Wind. Ruth survived the Second World War, but her life was swollen with pain. Her father committed suicide when he found out that forty members of his family died in the Holocaust. In 1951, years after her father’s death, she graduated from Queen Mary University and married Cyrus Jhabvala, an Indian architect. With him, she moved to Alipur Road in Old Delhi, and there, she also found her career. In 1913, E. M. Forster wrote: ”The unlovely chaos that lies between obedience and freedom—and that seems, alas! the immediate future of India.” And, so, Ruth was thrust into her life in the East. I made the discovery that she had found, in this ordinary, commonplace world I so belittled, the source for her art, the material for her writing, using its language, its sounds and smells and sights with a veracity, a freshness and immediacy that no other writer I had read had. The message was like an electric current: yes, this is our world, our experience, it can be our writing too. The distinction of the foreign home, and Ruth’s floating sensibility as she grasped to understand it, equipped her to see the varying dimensions of India’s delirium in the first years after its independence. In her essay “Myself in India,” she wrote, “I have lived in India for most of my adult life. My husband is Indian and so are my children. I am not, and less so every year.” But, even still, she was, according to the novelist Pankaj Mishra, “probably the first writer in English to see that India’s Westernizing middle class, so preoccupied with marriage, lent itself well to Jane Austenish comedies of manners.” And so, using those two bridges, she thrived. It was this fiction so perfectly constructed that brought her to Ishmael Merchant and James Ivory. 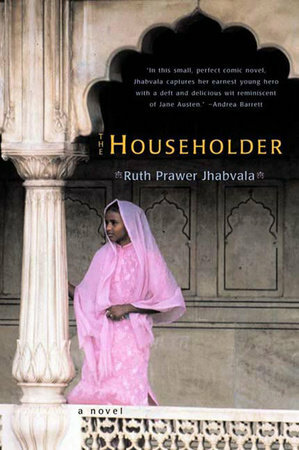 In the 1960s they approached Mrs. Jhabvala to write a screenplay based on The Householder, a story about the trials of a young Indian husband. In 2010, for The Guardian, Catherine Shoard wrote, “Few collaborations are so distinctive that the names of those involved come to denote a whole genre, rather than just a credit.” This would become one of those few. Ismail Merchant (born Ismail Noor Md. Abdul Rahman) was the son of Hazra and Noor. His father was president of the Muslim League, and refused to move to Pakistan, a contentious stance for a Muslim. This is perhaps why, inspired as a child at the age of nine, Ismail was known to have delivered an emotionally profound speech about partition, held at a political rally in front of crowd of ten thousand frustrated Indians wanting guidance and direction. Merchant had the pristine handsomeness that you expect of an Aligarh alumni. A stateliness, a kind of rugged, yet boyishly clean handsomeness. It evokes the India of the ’50s, the ’60s, after independence, brimming with hope and modernity. Immersed in a new world of art and culture, and inspired by Satyajit Ray, as well Ingmar Bergman and Federico Fellini, Merchant made his first short film in 1960. He paid for it to be shown in a cinema long enough to be eligible for Academy Award consideration. The film received a nomination and was entered in the Cannes Film Festival in 1961. There, Merchant was invited to a screening of The Sword and the Flute, directed by James Ivory. The two became friends, and later that year went into partnership in business and in life. Friends describe Merchant as a highly persuasive man: a talented and infamous cook, he would host elaborate dinners to coax and charm any potential clientele, or funders for his movies. Once, he even smuggled a film crew into the Trianon Palace hotel in Versailles by covering himself in robes, pretending to be the Maharajah of Jodhpur. 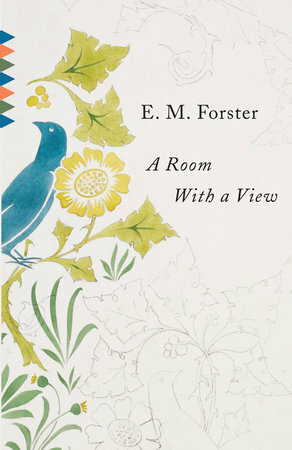 He was able to adapt three books by E.M. Forster (A Room with a View, Maurice and Howards End), another three by Henry James (The Europeans, The Bostonians and The Golden Bowl) and two by Kazuo Ishiguro (The Remains of the Day and The White Countess), as well as one by Jean Rhys (Quartet), Arianna Huffington (Surviving Picasso), and, of course, Ruth Prawer Jhabvala. James Ivory was born in Berkeley, California, and raised in Klamath Falls by his parents Hallie Millicent and Edward Patrick Ivory, who were Catholic. Little is known about his upbringing. Ivory is, by all accounts, something of a mystery. In an interview, Jhabvala once explained a little about her friend and collaborator: “I thought Jim had quite a lot in common with Henry James,” she said. “The elegance, for one thing; nobility, for another; extreme attention to people and relationships and the slow and patient way that Jim has, and that Henry James has.” For Ivory, it seems it was always all about the art. Ivory’s most recent work, Call Me By Your Name, made him the oldest Academy Award-winner ever, at eighty-nine, for Best Adapted Screenplay. The film, written by Ivory with an indulgence it deserved, reminded me of Merchant Ivory’s 1987 film Maurice, about a gay man in Edwardian Britain directed by Ivory and adapted in collaboration with Kit Hesketh-Harvey. It was made at a time when homophobia was at a high, where the “AIDS-crisis tabloid hysteria” was rampant, destructive and terrifying. In contrast, there is something equally powerful about seeing Call Me By Your Name’s queer characters love without consequence. Their films were, for the most part produced by Merchant, directed by Ivory, and twenty-three of the forty-four were scripted by Jhabvala. The initial goal of the company was “to make English-language films in India aimed at the international market,” and the actors came when they saw the name. Merchant Ivory films have starred Leela Naidu, Madhur Jaffrey, Aparna Sen, Shashi Kapoor, Maggie Smith, Hugh Grant, Anthony Hopkins, Glenn Close, Uma Thurman, Emma Thompson, Vanessa Redgrave, Ralph Fiennes and Helena Bonham Carter, and many more. In total, they received thirty-one Academy Award nominations in their forty-four-year career together, including best picture nominations for A Room with a View (1985), Howards End (1992), and The Remains of the Day a year later, in 1993. They’ve catapulted careers, such as Jaffrey’s, who after portraying a bratty Bollywood star in Shakespeare Wallah (1965) went on to win Best Actress at the Berlin Film Festival. Emma Thompson won her first (and only) Academy Award for Acting for her role in Howards End. Their successes, to me, as a person who experienced such gratuitous pleasure from their depictions of life and love, stem from their collaboration. There’s profundity in the way a well-oiled machine works, and when it comes to art, which can so often be a cathedral of boredom, or incessant churning of the same spectacle over and over again, there is something raw and real in what Merchant Ivory brought to the table. From Jhabvala’s roots in Eastern Europe, her experience of the trauma of being Jewish in a time of raging anti-semitism, to living as a foreigner in India, surrounded by an Indian husband and Indian daughters, demonstrates a unique resilience she brought to the acuteness and specificity that made the films so spectacular and fresh. Merchant and Ivory were able to gather their personal dedications and sublimate that love into stories that were unlike anything we’d seen before. From Merchant’s Muslim Indian isolation with a love of film, and Ivory’s American Catholic romanticism of storytelling, the marriage of these three individuals, and the purity of their experience and strangeness, translated into work unlike any cinema has seen since. They became masters of the colonial experience, tethered in a new language for what it means to be a human of multiple descriptions. In their togethering, they mirrored so many different identities, and that’s what made them stronger. Their collaboration hinged on the (outward) effortlessness and languid way they worked as a unit. Their specific experience aided their storytelling, never puncturing it. Each identity was important, each person had a role. Merchant Ivory films were shot from Delhi to New England to Paris. They documented the pernicious hypocrisy of wealthy capitalists, class struggle in India, social change in New York. The last film made by all three was Le Divorce (2003), a contemporary story about Americans in Paris based on Diane Johnson’s novel of the same name, starring Kate Hudson and Naomi Watts. This is what they did best, those three: they created, together, pastiching such emblematic and curious descriptions about what it means to be a person. From India, to Great Britain, to America to France, they created something larger than ourselves to hold us, to make space for us. Surgery can be seen as way to escape being a trans woman, the freedom to disappear into an “ordinary” life….